First up was the Core Network and Terminals (CT) Group, where Lionel Morand of Orange was elected Chair by acclimation. Lionel has been the TSG CT Working Group 4 (CT4) Chair since July 2016, after serving as Vice-Chair from 2012 to 2016. As Orange's lead representative for more than fifteen years, he has been an active member and a key contributor in the CT4 work. After completing their initial two year term, the TSG Radio Access Network (RAN) leadership was re-elected unopposed – for a second term. Balazs Bertenyi, Nokia, will keep the reins of RAN – continuing the groups impressive progress on 5G NR and evolved LTE radio work. 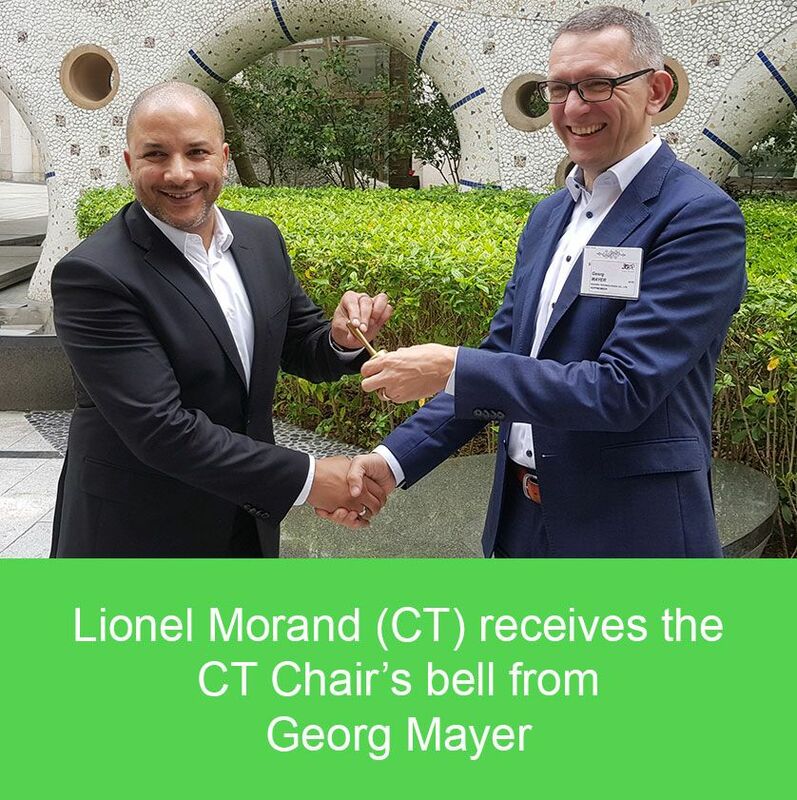 After a successful four years as the CT Chair - Georg Mayer, Huawei, was elected to the Chair of TSG Service and System Aspects (SA) in the final election process of the week. As the Chair’s bells (Captain’s bells) get handed over – the new leadership are now set to take on Chairing and Vice-Chair duties from the next TSG Plenary in Newport Beach, California, in June. Congratulations to our new Chairs and their Vice-Chairs. These appointments will be confirmed by the Project Coordination Group (PCG) on March 28.